This revolutionary volumising shampoo not only cares for hair but plumps skinny strands giving you gorgeously healthy and bouncy hair. Formulated with a unique blend of proteins and Pea Peptides to build up each strand without weighing hair down. This unique hair repair shampoo restores and repairs from within, getting inside the problem of hair damage instead of just making the issue. Formulated with Amino Acids and Keratrix, it's perfect for hair damaged by bleaching and heat styling. Put some life back into locks and achieve gloriously thick and full strands from root to tip with our Hair Density Shampoo Intense. This ultra-concentrated hair thickening shampoo is infused with Amino Acids, Biotin and B-vitamins to visibly increase hair density. 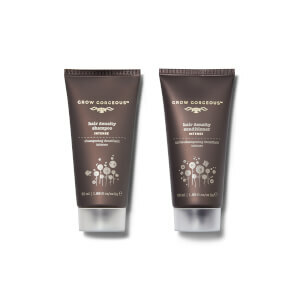 Not a shampoo, not a conditioner, not your typical 2-in-1 product. Our 11-in-1 Cleansing Conditioner is the perfect co-wash treatment, ideal for those of you with thick or coarse tresses that need to be cleansed without being stripped. If you're looking for a sulphate-free shampoo a number of our products are completely free from sulphates, in particular SLS and SLES. If you have a sensitive scalp these are the shampoos for you. 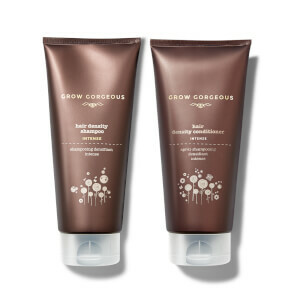 Whether you're looking for full-bodied volume, intense density or nourishing repair Grow Gorgeous have a shampoo for you. 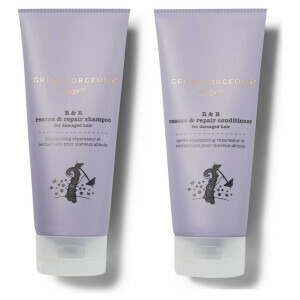 Use your shampoo or choice with the conditioner from the same range for the best results.